Functions are added to make people more intelligent and adjust nervous system, boosting memory, relieve panasthenia, senile dementia cerebral hemorrhage with notable effects. Dredging and soften the blood vessels, and become the primary medicine for prescribing angiocardiopathy such as arteriosclerosis, myocardial infarct. Preventing fatty liver, cirrhosis, adjusting fat metabolism of liver cells, reducing fatty deposits and clear LPO and anti-senility. Raising bio-activity of nutrients and greatly improve quality. Enhancing noodle flexibility, reducing the leakage of starch when cooking the noodles, reducing stickiness of dough, and convenient in processing, making the noodles slide, soft and chewy. Provide nutrient, enhancing fast dissolving and fat stability; preventing crystallized, quickens fast dissolving. Emulsify ice-cream, some of it can replace fat, the size of particles is the same and enhance the bubbles and water stability, reducing the high melting point for oil crystallization, prevent oil floating and extra ice particles, enhancing the soft, slide, tasty and refreshing. Improving tastes by making it oil but not greasy, slide and refreshing, saving fat usage and relatively reduce heat. Convenient for the mixture of sugar, oil, and water, rising oil dispersing and prevent particles presented, oil leakage and greasy taste, controlling rate of crystallizing and transparency. Making sure that the sweet is of slide surface but not sticky. Improving tastes and make the solid candy hard but crisp, the cutting process is smooth and not to stick to the knife. Convenient to evenly mix different ingredients to create bubbles. Contain its unique flavor and odor, enhancing nutrients. Processing is fully, mixed, and easier to get off mould , enlarge and soften the products. Adding Flavor and hardly dispersed, raising foaming and reducing oil leakage. Improving fat water dissolving and dispersing, ensuring the unique quality and structure. Improving protein, starch, and water mixture, good for meat moisture. 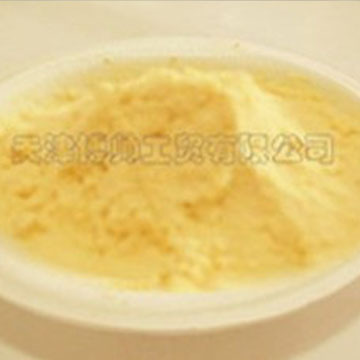 1, As the self-emulsification, of phospholipids, firstly, mixture one portion of phospholipids with 3 or 4 portions of warm water( about 60-700C), stir up the mixture for a few minutes by using mixer, and in several minutes, the milk like liquid is formed and then it can be used. 2, It can also e used for mixture, primary used for the enhancing moisture of insoluble powder, but it should be mixed thoroughly. 3, Applying for the craft as the individual method. Package: the inner package is the double low pressure polytene plastic bags and aluminium foil. The specification is 1kg, 5kg,10kg, 20kg per package, the outer package is made by manila. Net weight for every package is 20kg, or we can be made package designed by our customer.